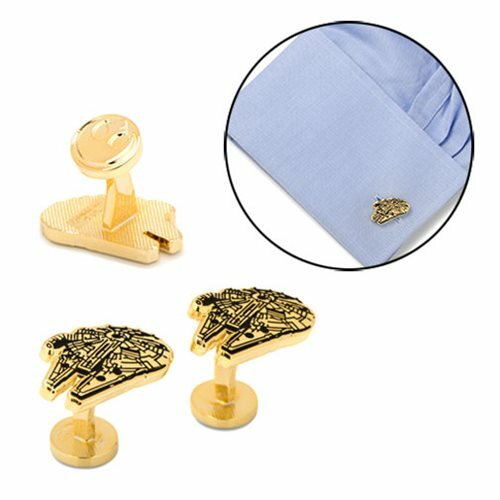 Express your love for Star Wars with these Star Wars Gold Plated Millennium Falcon Cufflinks. Featuring the storied Millennium Falcon, you will be sure to stand out at events and gatherings whenever you put these on. Measuring approximately 7/8-inches x 1/2-inches, these cufflinks are made with gold plated base metal and enamel.